← Update on the Motorway Malaga: A-7 versus AP-7. New radar in Mijas. A number of car hire companies in Malaga advertise incredibly cheap rental prices, but driver beware! In many cases, these firms claw their money back through a number of hidden charges – one of which is their fuel policy. A number of firms operate a ‘full-empty’ policy. This is where under the booking terms, drivers pick up their vehicle and pay for a full tank of fuel in addition to their rental charge – returning the car with an empty tank. So how does this cost rental drivers more? In many cases, the full tank of fuel is charged at an extraordinarily inflated rate. We’ve heard one story of a holidaymaker being charged 60€ to fill a small class A car which would usually cost around 35€. The money the firm lost on the rental was recovered with the profit made by the inflated fuel charge, not to mention the extra money made selling-on any fuel left behind in the tank. What fuel left in the tank? Surely you’d use up a full tank driving to all the many attractions that the Malaga region has to offer? Well not necessarily… The average mileage on a car booked for one week in Malaga is approximately 400kms. When you consider the average size family car can travel up to 800km on a full tank of fuel, that leaves half a tank of fuel (bought and paid for) going back to the rental company, who can then sell it on again. Very few companies refund for the fuel left in the tank, so unless you’re going to leave your resort and drive laps around the rental office, you’re unlikely to get your money’s worth. The other alternative is to risk driving the busy roads around Malaga Airport with barely any fuel, just to return it empty. In this scenario, think of the recovery costs that you’d be charged to rescue you and the car before finally making it to the airport. Then there’s the ‘full-full’ policy, where drivers collect the vehicle with a full tank and return it in the same condition. 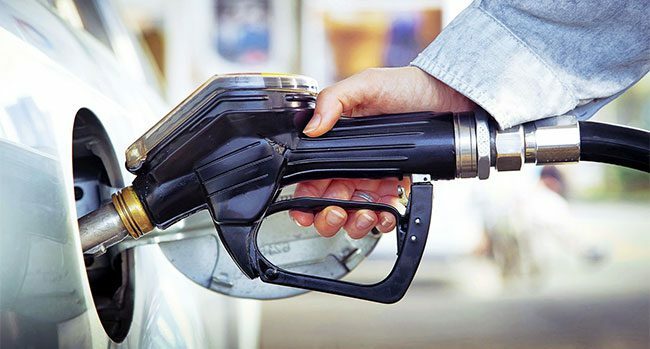 This used to be the standard fuel policy for most vehicle rental firms, however increased knowledge of fuel economy and environmental concerns have shown that it can end up costing a driver more to drive with a full tank. Not only that, but if your return flight is at a peak time, you may end up queuing on a busy forecourt during city rush hour. Factoring transfers, check-in and security times… would you risk missing your flight just to top up the tank? So what is a fair fuel policy? Malagacar.com operates on a ‘half-empty’ basis. We fill all of our vehicles with half a tank of fuel to enable you to get to your holiday destination comfortably, and depending on the amount of driving you do, to travel around the region without having to refuel for a while. We don’t over-charge for the fuel we pump into our freshly valeted cars, so you’re not being ‘ripped-off’ with extortionate fuel costs. Not only that, but for rentals of less than 4 days, you can apply for a fuel reimbursement as long as the car is returned with the same amount of fuel that it left us with. On standard length rentals, we even allow you to bring the car back empty – so you’ve only paid for the fuel you’ve used. Here at Malagacar.com we feel this is the fairest fuel policy, and one of the best available for our customers – many of who return year after year. Not only can we offer a vehicle to cover any budget, but our well maintained, spotlessly clean fleet is price-checked regularly to ensure we always offer the best value car hire at Malaga airport. Hi, Do you charge different fuel rates based on class of car. Hi Andrew, yes we do, depending on the size of the fuel tank. I am booked in for end of this month. I booked a basic class D vehicle. I have a question regarding Insurance. I am getting a excess insurance from Ireland for my rental period. 1) I only pay for rental. 3) Do I still need to leave a deposit ? or not. Any other charges do I need to be aware of. Hi, Not really a fuel question but one I am sure other may want to know. The Basic package does not offer free roadside assistance and charges 75 Euros to be towed up to 25km and further costs for distances over this. Should a hire car break down (mechanical or electrical failure) it seems a bit unfair to charge the person hiring the car this cost when the hire company should have provided a car fit for purpose. As stated in our terms and conditions, the free road assistance is only available in Web and Full pack rates. We check our cars periodically to avoid these kind of issues, but there are many things that can’t be controlled and may fail without prior notice. Does this apply to dropping cars off? My flight departs at 8 am, which means I need to drop the car at 6:30 am. Would I be charged 35 € for this? Hi Gilles, don’t worry, it’s only applicable on arrivals. And when I return the car I can return it with an empty tank and I will not be charged anything for the fuel, since I’ve already paid for the half tank up front. That’s it. Additionally, you will have to leave a deposit, but you will get it back on your return if the car is in the same conditions as received. Hoping to hire a car from you in May. Gong for the full package, can I chose the half to empty fuel policy. Hi Victor, the full pack includes half-half fuel policy. You could get the basic rate and add the additional insurance as an extra. Can some people not understand simple English? Basically, you collect the car, pay the agreed rental price, pay for your half tank of fuel, leave the car back empty (or with whatever is left in the tank), return the keys and go home. Follow this simple procedure and there is no refueling fee. ONLY if you decide that you would prefer not to pay for half a tank, and shop around to get it a little cheaper from a petrol station, and return the car half full, THEN you will pay a €20 admin fee as someone needs to take the time to check the fuel level. Providing Malagacar don’t start charging an excessive amount for half a tank, then the half/empty policy seems a perfectly good option in my opinion! HI – I hwas put off by some of the comments but then re-read and saw this …. So to be clear – if (on renting the car for 3x days) I return it with at least the same amount of fuel I will be refunded everything (the 35€) except the rental cost (of course) and there will be no €20 fee to check this? 35 for half a tank in a VW polo is quite excessive as I drive one in the UK and know how much it takes to fill. You replied to an old post from 2013. We have changed our policy on that regard and actually you can hire the car with either half/empty of half/half. Please explain the charges associated with the half full policy. Is the half tank that comes with the car included in the rental price or is this additional when we arrive to collect the car? It reads as though if you chose express you just pay for half a tank of fuel? But on my confirmation for a half full- half full rental it says fuel not included so if you pick the more expensive rental option of half – half then you pay for half a tank of fuel on collection, then have to return it with another half tank, and then you charge €20 to check it. If you get the Basic rate you will have to pay a half tank of fuel on arrival and you can return it empty (fuel left won’t be refunded). On the other hand, if you get the Web rate, the Full-pack rate or add the half-half extra to the Basic rate (20€), you will receive the car with half a tank (no extra costs on arrival) and must return it alike. Hi – so just to be completely clear, if choosing the Express Check out service – the estimated cost of €30-65 is the actual cost of the half tank of fuel. You pay for the fuel, and do not pay any other fees? Assuming you then aim to return it empty as you don’t get a refund for any fuel that’s left upon with this option which is fair enough. Yes, the cost is around 35€ for a medium sized car choosing the Express Check out. You pay for the fuel and bring the car back empty. There are no other fees. Yet of course you would have to add Extras as for instance second driver, baby seat, GPS, late night check in or the extra insurance. i to have been using malagacar a couple of times a year for the past few years because of the service , price and fair fuel policy,……..
2….charging €20.00 for providing you with a car with fuel in it!!!!!!….. as well as charging you for hiring it!!!! Our “Express Checkout Service” is as fair as always. You pay for a half tank of fuel and return it empty. It’s the cheapest one at Malaga airport (between 30€ and 65€). Recently we’ve added the half-half fuel policy (Standard Checkout Service) for those customers who want to return the car with the same amount of fuel on it. But, as we have to check the exact fuel left on each car, we apply a 20€ fee. You can choose which one suits you most. 1.- They make you pay for an overpriced tank of fuel + a refueling service fee (in total, about 100€-120€ for the smaller cars). 2.- On your return, you will have to fill the tank again if you want to get part of the initial payment (for a small car, another 60€, if you car is empty). 3.- They won’t ever return you the full tank, just an estimate of the fuel left measured in 1/8 (even if you filled up the tank on the nearest fuel station) and probably will argue that fuel cost have changed during your holidays. In addition, if you forget to take the fuel station ticket, you won’t get your refund. Of course, you won’t get back the refueling service cost. Lets say they refund you between 60€ and 70€, there’s a difference of 40€-50€ (in a small car!). So you pay 2 full tanks + refueling fee and get 1 back. Honestly, I think our Express checkout service is far more cheaper than the rest of our competitors. As I said before, the “Express Checkout Service” is the same fuel policy we have always provided (half/empty). You can choose it on arrival at no extra cost, so you don’t have to pay those 20€ you are mentioning. We give you the options, you choose whatever suits you most. See you very soon on the Costa del Sol! It would be about 35€. Hi John, you get what you pay, a half tank of fuel. Other companies will make you pay the fuel and the refueling service. So to be clear. You pay €35 for express check out which includes 1/2 tank of fuel? The only extras you would pay is the insurance or hire amount deposit? *The cost of the Express check-out Service varies between 30 € and 65 € (depending on the hired car group). You don’t mention that Malagacar rips-off 20€ for refuelling service, even when the customer leaves the car half full, i.e. no cost for Malagacar? Or am I reading your terms wrongly? When you choose the ‘Express check-out Service’ there is no refueling fee. You only pay for half a tank of fuel and return it empty. Regarding fuel policy: in my opinion the best way is full-full while malagacar takes care of filling up the cars. The fuel used can be charged with the deposit. Already 2 times it happened that the fuel gauge got stuck when driving the fuel tank almost empty. When filling up with 5 liters in order to reach the airport the gauge got stuck, so it was unsure how much fuel was in the tank. The problem with full-full is that we have to check if the customer has really left a full tank. There is no problem when the fuel gauge is full, but in any other case we will have to check the car, calculate how much money we have to refund, etc. That process takes some time and we have to move really fast during high season! We hope you understand why we apply the half-empty policy.